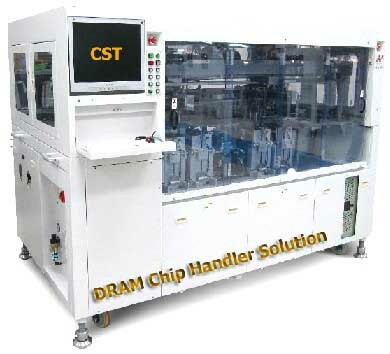 CST Inc., a 29 years privately owned memory tester company, announces its New DDR3 CHIP Test Handler system for testing the New DDR3-1600/1333/1066/800 memory chips. 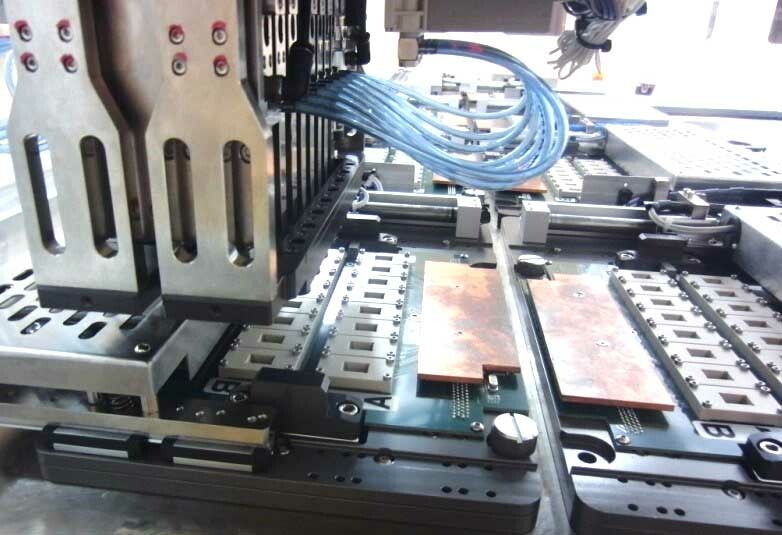 DRAM Chip Test handlers are used with semiconductor and component test systems to handle, thermally condition, contact and sort semiconductors and other electronic components during the back-end testing of the semiconductor manufacturing process. CST 's DRAM chip test handlers are designed with different characteristics for memory and non memory semiconductors. The CST-3309 test handler and test systems are designed to support memory chips testing and can handle up to 128 DUT devices at a time. The CST-3300's maximum throughput is 3,000 Dram devices per hour through the use of a new high-speed handling technology. The CST-3309 can handle up to 128 memory devices simultaneously, including DDR,DDR2,DDR3,LP-DDR,LP-DDR2 & LP-DDR3 SDRAM memory devices, and has achieved a maximum throughput of 3,000 semiconductors per hour.